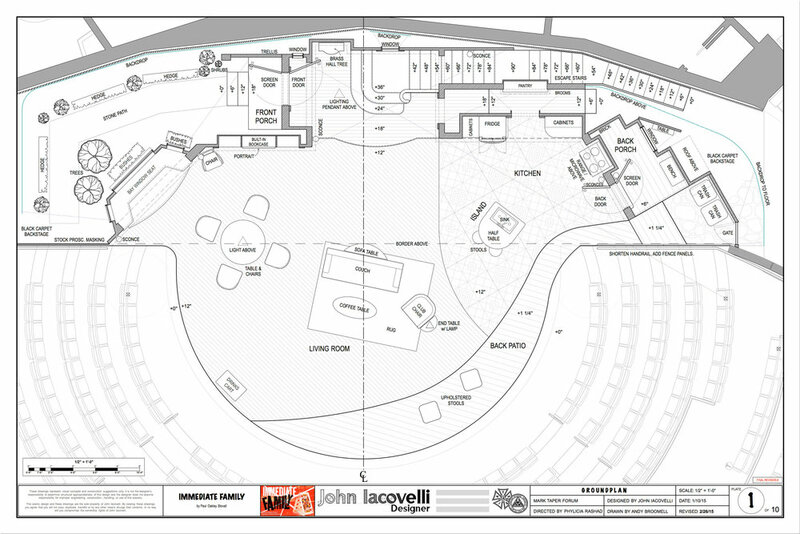 Bid drafting for John Iacovelli's scenic design of Immediate Family at the Mark Taper Forum. Created in Vectorworks. Based on the Virginia Woolf novel of the same name, Sarah Ruhl's Orlando examines identity, time, and gender by following an English nobleman who lives for hundreds of years before falling asleep and waking up as a woman. 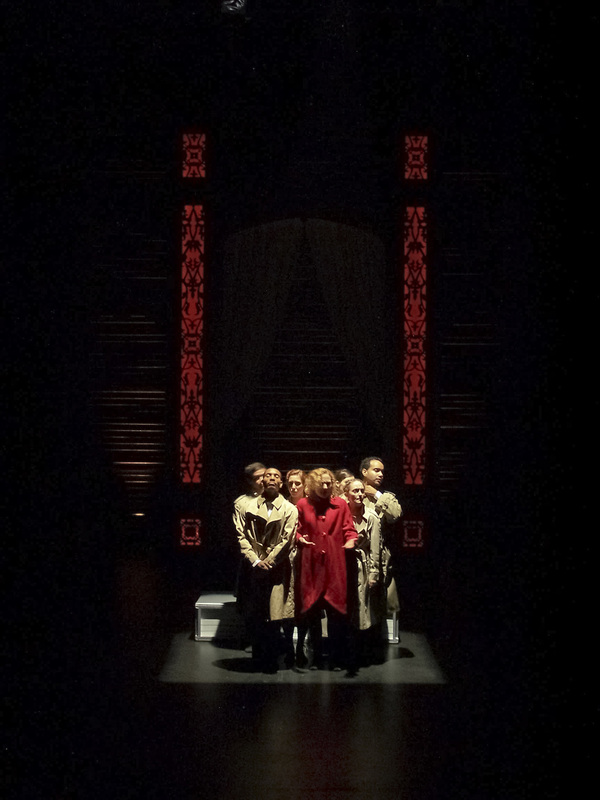 This production took place entirely on the stage of the Claire Trevor Theatre, normally a 287-seat proscenium space. Placing the audience on stage allowed us to create a deep yet intimate environment for this quirky play. 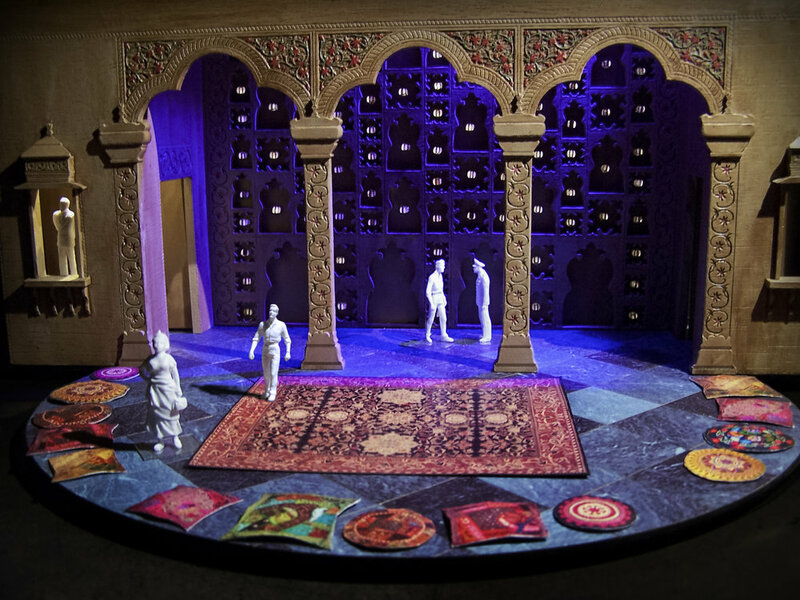 Working within a very limited budget, all of the moulding in the show was created out of cardboard. 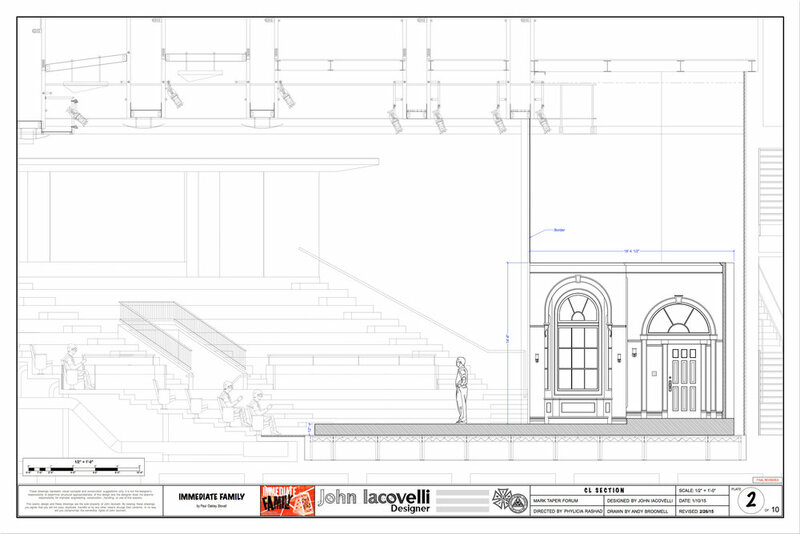 Each piece was modeled in Vectorworks, sliced into profiles in 123D Make, then cut out on a lasercutter and assembled. 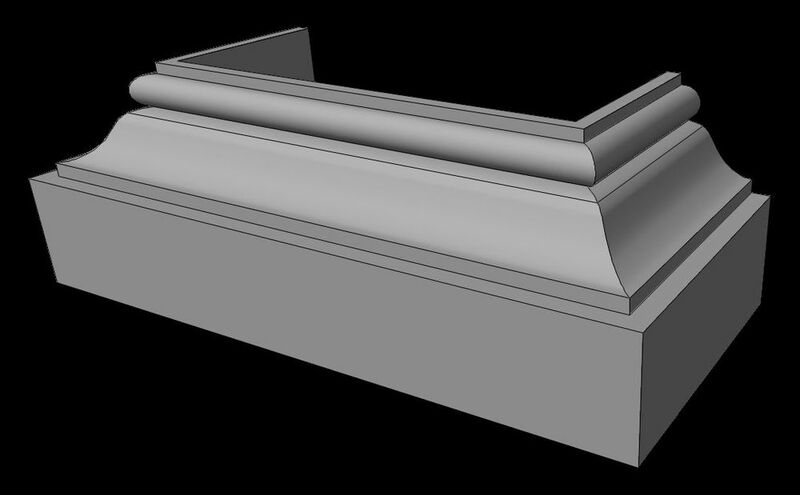 It was an extremely inexpensive solution which achieved the volume needed for the (abstracted) period moulding. Brilliant Traces is a play about a woman who finds herself at the doorstep of a reclusive young man in the middle of the Alaskan Wilderness, just days after she was supposed to be married. The text is an intimate examination of the human spirit, and this production was set in an equally intimate venue, with only 200 sq. ft. of playing space. The Clay Cart. 1/4" = 1'-0" scale model. La Boheme (Act I). 1/8" = 1'-0" model. Copenhagen. 1/8" = 1'-0" model. Endgame by Samuel Beckett. 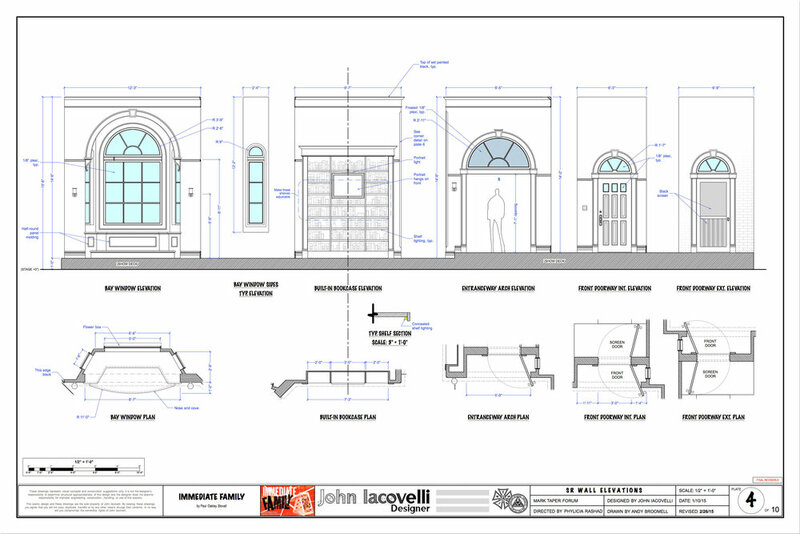 Conceptual Vectorworks rendering.